God's Healing is for You! Have you ever wondered, "Does God want to heal me?" Like many others, you may believe that God has the power to make us better but feel uncertain whether He wants to extend this blessing to everyone. The truth is, God is our loving Father Who wants us all to be well. 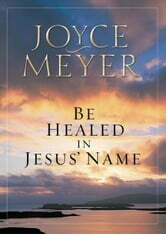 Yes, He does want to heal you-totally and completely. 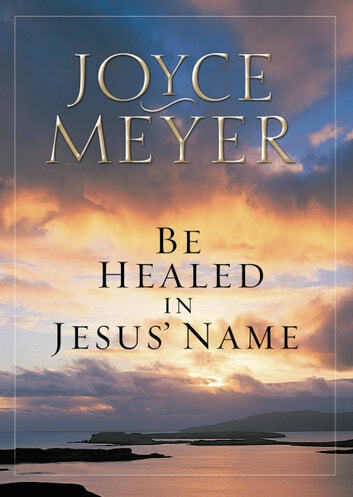 In this dynamic book, bestselling author Joyce Meyer presents a clear, concise explanation of the basics of biblical teaching concerning God's will to heal. You'll learn: * How to Release God's Power for You * The Misconceptions that can Prevent Healing * The Many Methods God Uses to Heal * The Vital Importance of Faith and Patience. Complete with important Scriptures on healing and guidance on how to apply them to specific needs, Joyce Meyer shows you how to receive all that God has for you. Be healed in Jesus' name!